Are civil servant persecuted for Mugabe's sake?? At least with respect to political appointees, not only is this allowed, but it actually happens every time an Administration changes. Zimbabwe had never had a meaningful administration change in thirty eight years and the first change has brought with it shock waves. There have been firings of Civil Servants simply because they were close to the previous leader. This reason is not only unreasonable but wholly satanic. Every Zimbabwean has been a Mugabe person before. Many politicians have sang and lived for Mugabe every day. The President of Zimbabwe His Excellency President Emmerson Mnangagwa has been the second in command and basked in the glory of Mugabe for half a century. He knows Mugabe more than any other persons in the Zimbabwean politics. 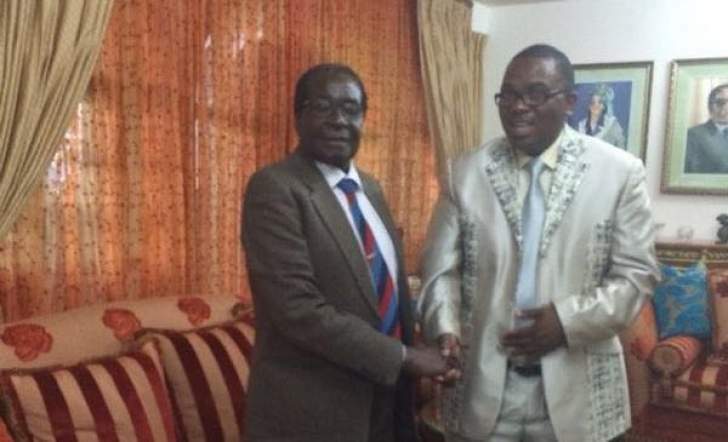 Shall he be punished for being once close to Mugabe? Many able competent Civil servants have been fired tormented persecuted for being close to Mugabe. This hypocrisy escapes everyone's mind, which is above 40 who can say he was not fond of Mugabe. Chamisa still holds his ZANU PF card so was Tsvangirayi. Why is it a reason to fire a competent person, being a post Mugabe faithful must never be a reason to fire. If Mnangagwa was able to change from Mugabe to himself why can Chinotimba not change from Mugabe to Mnangagwa. Thousands of political staffers throughout the Executive Branch submit their resignations effective (at the latest) on Inauguration Day. Much of the incoming President's time during the interregnum between Election Day and the inauguration is taken up with interviewing prospective staffers and making appointments, because the Administration has to hit the ground running. However in most cases the administration's good intentions are overshadowed by jealousy envious clowns who want to fix those who worked well during the past regime. The government must be concerned specifically with political appointees that might seek to be converted to civil service and stay in their posts, even though they were, in fact, political appointments! These are different from Civil Servants. This issue is not new. Civil servants have taken what they regard as principled stands before. It has been Zimbabwe's law that Civil Servants must never be politically inclined. Civil servants were supposed to be apolitical and thus should escape the witch hunt and victimisation which will follow the inauguration. What is the obligation of government workers when they disagree with what they are directed to do? This question is important for them but also for us, since our judgment of and trust in the bureaucracy and its leaders - and our understanding of our governmental system - depend on the answer. Fortunately, there is a touchstone: the Zimbabwean Constitution. Every public servant, from the president to the lowliest clerk, takes an oath to "preserve, protect and defend" it. Civil servants do not take an oath to obey the president. While in almost all cases they should and do, this distinction matters. When orders from superiors appear to civil servants to conflict with Constitutional values and established law, they have a moral obligation to object. The way in which they should do so, not their obligation to do so, is the relevant question. When civil servants object to laws which are not in the best interest of the people of Zimbabwe they should not be fired and labelled the Mugabe people. Unfortunately, most civil servants get little help in thinking through this. Taking the oath is usually sandwiched between signing forms and getting office supplies on their first day at work, rendering it devoid of the historical and moral force it should play in their careers. Nor do they receive training in taking an ethical stand when they need to do so. Unfortunately as well, most citizens - including some those in power don't appreciate this obligation. Using the business model with which they are most familiar, they assume that you do what your boss says or get fired. They see bureaucrats as pampered employees who ignore or defy their boss with impunity unacceptable in the private sector. Yet government is not a private business. Employees of private companies don't take a solemn oath to defend the Constitution. The goal of business is profit. The end of government is justice. This component called justice is completely missing in our administration today. People are being fired for having been worked in the past governments. Those firing them or recommending their firing are the ones who worked for the former more sincerely than those they are firing. Further, leaders in government who insist on lockstep compliance and prevent or punish dissent are asking their employees to disregard their professional expertise, which they are duty-bound to provide. Such leaders disrespect their own Constitutional oath. Without a willingness to consider the knowledge their subordinates provide, they can't be sure they are doing the right thing. People are using their proximity to the president to punish their enemies. Most civil servants are being fired to settle a score about past girlfriends. The people who have created a thick wall around the president are becoming the law unto themselves. They are now the demigods who cannot be touched. They decide who should be appointed to which position and rush to feed the president with lies and hate. Those who stood up against Grace despite their positions in government and despite their blood relations to Mugabe are being punished by those who were leaking the feet of Grace now pretending to be the best buddies of ED. Some thugs who were busy stealing during Mugabe's time are so afraid to allow hard workers to serve their government. They now sit in the thrones of power and busy kicking others away. It is sad how Zimbabwe is being disadvantaged because there are greedy corrupt power hungry buffoons surrounding the rays of power and obstructing the real progress and the real civil servants to serve the nation. President Mnangagwa has the right to fire political appointees, serving at the pleasure of the president. Yet when they are told that they are aligned to the former it is wrong. Civil Servants used their best professional judgment about the law and their reading of the Constitution to take a principled stand. You may disagree with their background, but their actions are honourable. Firing them for being Mugaberites is a crime against democracy and against Zimbabwe. President Mnangagwa does not have the right to take punitive action against career civil servants because they disagree with him or his appointees on Constitutional grounds. Merit System Principles should be established in law to ensure that employees are protected against such retaliation because faithfulness to the Constitution is more important than obedience to superiors. This does not, of course, mean that civil servants should glibly or thoughtlessly disobey. Such acts are a form of civil disobedience and, in the extreme, threaten the administration of government and the public trust. Civil servants have an obligation to voice their concerns internally, in private, and to use the chain of command to seek decisions consistent with the Constitution and the law. Only when that fails, and they have carefully considered the appropriateness, manner, and impact of public dissent, should they take more serious action. The administration of our government depends on mutual respect among political leaders and public servants - and an understanding by them that they each have a Constitutional obligation. It depends on blending the professional judgment of long-serving careerists with the political judgment of the people's elected and appointed officials. Finally, it depends on the public's appreciation and support for this and thus on respecting public servants who thoughtfully, carefully and honourably dissent because they want to "preserve, protect, and defend" the Constitution. Although very distressing, bullying is too often going unnoticed or disregarded in the workplace. Those who come from the areas nearer to those in power are now bullying even their managers. Working as a civil servant is now difficult. Things are tough you have to be talking in hashed voices. But what is the root of this kind of behaviour? Civil servants expressed concern about unfair dismissal and harassment of those who speak up, particularly those with links to the previous leadership. One former civil servant has experienced what he believes was unfair dismissal after nine years in the service – and thinks that this decision was swayed by his link to Mugabe. Zimbabwe now need maturity not this herdsman kind of leadership. We must not rely on whom we know or who speaks to the president more. We must rely on our skills and what we can offer to the government. People must be allowed to serve the nation without jackets of partisan rewards being won. People must be Zimbabweans and get what they deserve, times for thank you is gone we now need development, this starts with human development and rewarding those who deserve and those who trained for the jobs. Zimbabwe is for us all.